In remembrance of the 150th anniversary of the burning of Columbia – when the Union destroyed almost two-thirds of Columbia, S.C. in an act symbolizing the end of the Civil War and the emancipation of enslaved African Americans in the capital city of the first seceding state – Columbia Commemorates will hold a week-long, city-wide event series: Burning of Columbia. Working with partnering organizations to implement lectures; tours; films; visual, literary and performing arts; exhibits; public discussions and large public gatherings, the 150th Burning of Columbia event series will offer present-day Columbians a forum to discuss and reflect on this pivotal point in South Carolina history 150 years ago, and the defining moments since that have altered the course of society in Columbia, S.C. This Thursday, January 29, 2015 from 7 to 10 p.m., the South Carolina State Museum will co-host one of the first Burning of Columbia events, Through the Fire. The evening will be an immersive experience of soldiers’ lives in the Civil War, with readings from diaries, newspapers, military accounts and letters, as well as a showing of 3D Civil War photographs in the museum’s new 4D theater. Civil War-themed hors d’oeuvres will be served alongside beer, wine and the featured themed cocktail: Gunpowder Punch by Motor Supply Head Barman Josh Streetman. Rumors still circulate that a mixture called Gunpowder Punch – or Battlefield Punch – was made with real gunpowder and served in Charleston, S.C. and surrounding Southern areas in the Civil War era. A self-proclaimed nerd, mixologist Streetman jumped at the task of creating a (somewhat) historically accurate version of the punches Civil War soldiers might have drunk on the battlefield. Streetman found that this Civil-War era Gunpowder Punch drunk by soldiers often contained whiskey, tea, brown sugar and a type of herbal liquor; others included gin and cherry juice, or other juices from preserved fruits. Streetman couldn’t find solid evidence of gunpowder being used in the mixtures, but reasons that it very well could have been, in small quantities as a preservative. Surprisingly, Streetman found another historical trace back to the ties between gunpowder and beverages. To make his Gunpowder Punch, Streetman – known for his inventive twists on tradition – mixed both cultural derivatives into one spicy, sweet and slightly coffee-bitter concoction. “I used all Southern ingredients to create a gunpowder spice: toasted long peppers, fennel and cumin; white peppercorns, pecan, toasted peach and cherry; non-alcoholic pinot gris. I combined these ingredients in a sous vide bag, then strained the liquid out – that’s the gunpowder kick. 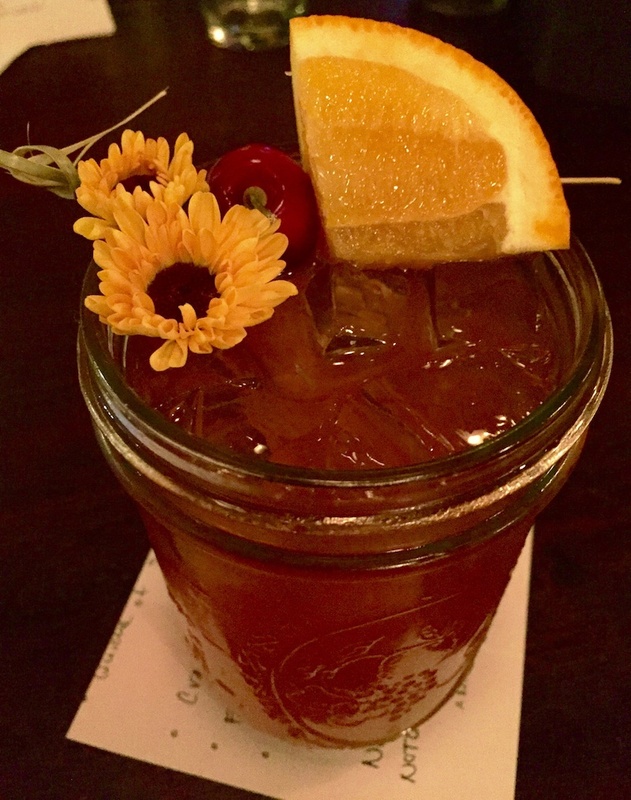 In cocktail form, served at Motor Supply with the same name, Gunpowder Punch comes topped with variations of garnishes that you might find in the Civil War-era mixture: cherries, oranges and yellow daisies. Guests can purchase tickets to Through the Fire online at http://scmuseum.org/events/through-the-fire or by calling (803) 898-4999. The South Carolina State Museum is located at 301 Gervais Street, Columbia, S.C. 29201. Learn more about Burning of Columbia at http://burningofcolumbia.com.